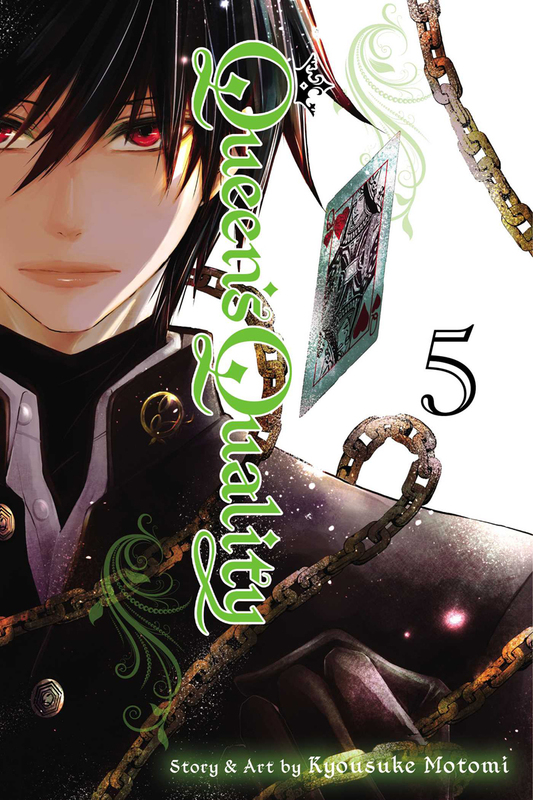 Queen's Quality manga volume 5 features story and art by Kyousuke Motomi. If you've enjoyed the series thus far, this volume won't disappoint. It's action-packed as the battle between Kyutaro and Fumi and Ataru reaches its end. Fumi must face the black queen while the white queen beckons to her. The previous volumes have led up the moment Fumi makes a hard choice. She sees a partial memory and Ataru's background is revealed. 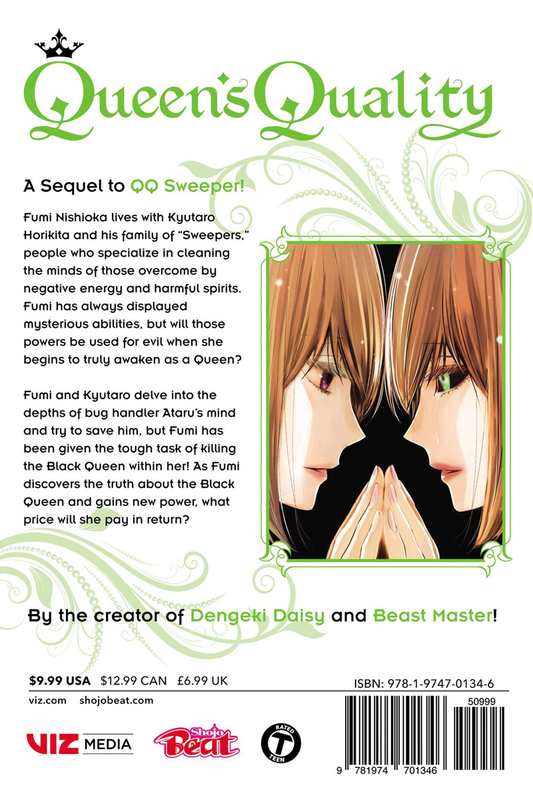 The author states that a new arc of sorts begins in the next volume (6), so this is best viewed as closure for the bug handler/black queen aspect of the story. I'm drawn into the mystery of Fumi's missing past and Kyutaro's relationship with her. Another solid volume.